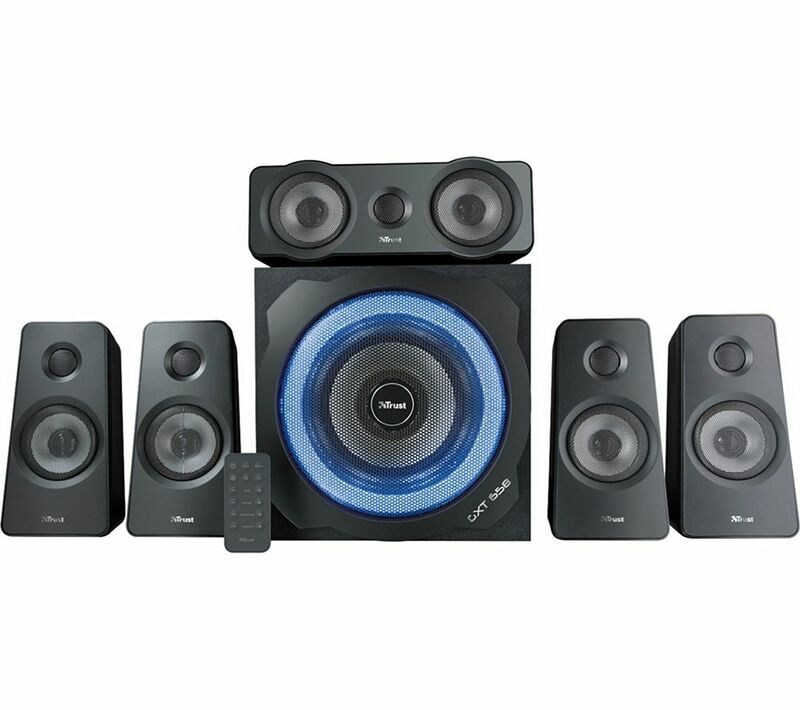 Whether you're playing your favourite tracks or enhancing your gaming setup, the Trust Tytan GXT 658 5.1 PC Speakers delivers impressive audio with a total of 180 W power output. Feel part of every scene, song and moment with surround sound and deep, rich bass. The LED subwoofer is bass-synced to give you mesmerising, pulsating light. Get the most out of all your games and hear every minute detail. 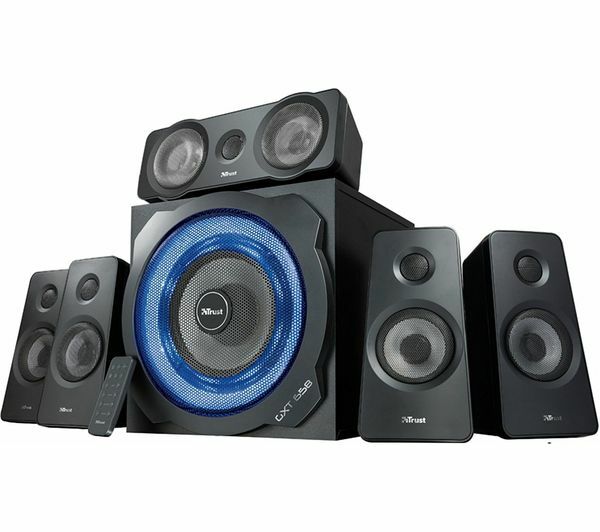 The speakers are compatible with PC, Nintendo Wii, Sony PlayStation 3 and Xbox 360.